Pops hits from the Golden Era of music back to life, with soaring vocals, tight harmonies and an infectious sense of fun! 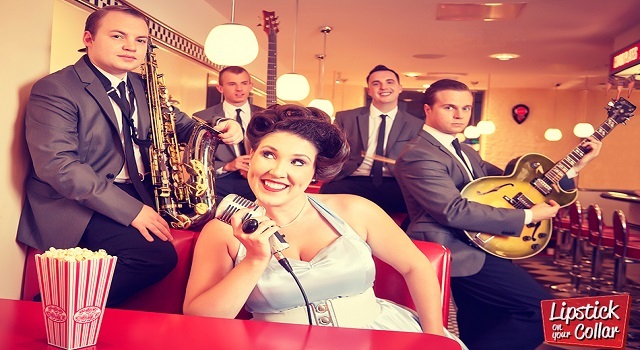 An exciting 50's/60's Show specialising in bringing the Classic Pops hits from the Golden Era of music back to life, with soaring vocals, tight harmonies and an infectious sense of fun! From the birth of Rock 'n' Roll through to the Beat Group sounds of the British Invasion, we play hits from the likes of Connie Francis, Brenda Lee, Buddy Holly, The Beatles, The Ronettes, Cliff Richard, Cilla Black, Dusty Springfield and many more.